Every year the best and brightest in the recruitment congregate to share knowledge and propel the market forward, so it’s no surprise that Access Group will have a significant presence on 5th and 6th February to share its latest candidate to cash proposition. In a time of fierce competition where recruitment businesses are looking to improve efficiency and productivity, Access Group is well positioned to help. As Brexit uncertainty, compliance and talent shortages remain a worry, recruitment businesses need to ensure they can operate more effectively and stand out in the crowded market. Access believes the successful agencies will be those who can address productivity and efficiency challenges by adopting technology that supports the complete recruitment process - from candidate attraction to cash collection. With over 100 vendors, 50 leading experts and 3,000 staffing professionals expected at the Recruitment Agency Expo over the two days, it is arguably one of the most important recruitment events on the calendar. This year’s delegates will hear first-hand from Jason Martin, Head of Strategy for Access Recruitment, about its candidate to cash strategy. Jason will be talking about how recruitment businesses who are able to think holistically about their operations and automate business processes, will be able to positively impact profit margins and become more competitive. 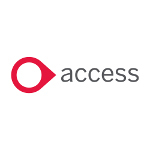 As well as a spot on the conference agenda, Access will be making its presence known with a central stand to talk with existing and prospective customers about its unique offering. This follows the successful launch of its new cloud-based front-office recruitment CRM and its collaborative technology Access Workspace. Access’ software developments come from a desire to provide recruitment businesses with not just more functionality and an improved user experience but a new way of working that is more connected and collaborative using best of breed products delivered through Access Workspace. With at least 40% of the UKs top 500 agencies using Access recruitment software plus a further 550 customers following last year’s acquisition of Microdec, the group now serves over 25,000 users and is clearly delivering the most comprehensive offering to the industry, placing it in prime position to continue its market share growth. The Access Group is a leading provider of business software to mid-sized UK organisations. It helps more than 16,000 customers across commercial and not-for-profit sectors become more productive and efficient. Its innovative Access Workspace technology transforms the way business software is used, giving every employee the freedom to do more. Established in 1991, The Access Group, with an enterprise valuation of £1billion, employs more than 1,500 staff.